Caption Acadêmicos da Estrada Real formerly Escola Nova de Samba is Northern California's oldest Samba organization. 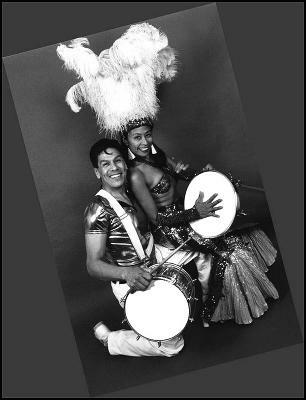 Founded in 1983 it has been the wellspring from which many other Bay Area Samba organizations have emerged from. Our experienced directorial staff teaches perhaps the most authentic Brazilian and Afro-Brazilian music and dance with close attention to detail and with the highest respect towards the culture. Our flag bears the double-axe of Xangô and a Surdo Drum symbolizing our dedication to Samba and the sacred music of Candomblé. If you want to learn Samba right go to the Academy. Headline Academicos da Estrada Real at Mission YMCA.